Cover up in style: Whenever possible, wear a wide-brimmed hat, pants and long sleeves. Sunglasses protect your eyes and help reduce fine lines around your eyes. 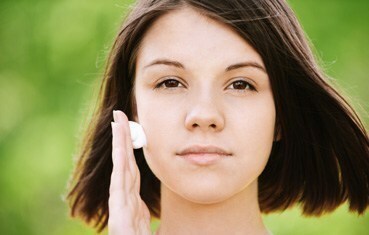 Slather on the sunscreen every day before going outdoors: Apply sunscreen to all areas that clothing will not cover. Use a water-resistant sunscreen that offers broad spectrum protection of SPF 30 (or higher). Avoid indoor tanning: The sun, tanning beds, and sun lamps expose you to harmful ultraviolet (UV) rays. These rays accelerate skin aging. Apply moisturizer every day: As we age, skin becomes drier. Fine lines and wrinkles appear. Moisturizer traps water in our skin, giving it a more youthful appearance. For best results, use a facial moisturizer, body moisturizer, and lip balm with SPF. Wash away dirt and grime twice a day: How you wash your face can affect your appearance. For best results, wash with warm water and a mild cleanser rather than soap. You also should avoid scrubbing your skin clean. Stop smoking: Tobacco smoke contains toxins that can lead to “smoker’s face”. Signs of smoker’s face include a dull and dry complexion, loss of skin’s firmness, premature lines, wrinkles, and leathery skin. Remember, the foundation of beautiful skin is healthy skin. To learn more about our cosmetic services, treatments and products click here.